Mauricio Pochettino spoke to the media after their disappoitning defeat to Manchester United at Wembley Stadium. Tottenham Hotspur suffered their sixth league defeat of the season on Sunday against Manchester United at Wembley Stadium. A 44th minute Marcus Rashford goal proved the deciding factor as United ran out 1-0 victors to see them go level on points with fifth-placed Arsenal. After the defeat, Mauricio Pochettino spoke to the media to reflect on back-to-back league defeats at Wembley. The defeat means Spurs now sit just one point ahead of fourth-placed Chelsea and puts to bed Tottenham's 'title race'. "I think the performance I am so happy with. The last 45 minutes, the second half, we played so well. I think we created enough chances to score and win the game," he said. Spurs had 11 second-half shots saved by United's David de Gea - more than any other Premier League goalkeeper in a full game this season. "De Gea made 11 saves which made him man of the match in the end. For me it was one of the best performances that I've seen, after four and a half years, at Tottenham, the best 45 minutes. "Overall I think the performance was fantastic. That is football," the Argentine added. To add injury to insult, both Harry Kane and Moussa Sissoko both suffered injuries in the defeat to United. "Four and a half years we are playing every week and testing the depth of the squad, not only that period, but I never complain and I am not going complain. 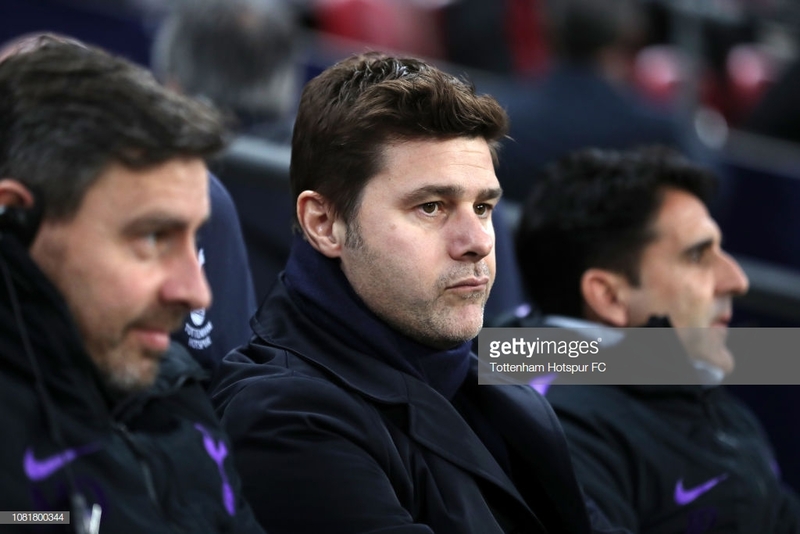 "I think we are going to recover players from injury and I think we are going to find the way to play in the best condition and be competitive like we were competitive in the last four years and a half," Pochettino said. "No I am not worried, you know me." Heung-min Son has now left for the Asia Cup and will be out of action for around a month. "Yeah but we cannot change that. That is the risk in any competition, you know. In football you cannot avoid the risk," he said. "The people they criticise me when we play Harry Kane 15 or 20 minutes at Tranmere and I told you, the injury can appear when you don’t know when. And look today, in the last action of the game."